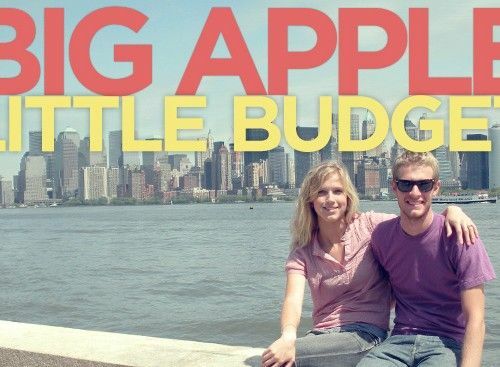 In this series, we discuss the cost of big city living with little budget spending from our own experiences in New York, Boston, and LA. After living in New York City for a couple years, Johnny and I took the leap to another big city: Boston. We thought we had a pretty good grasp on city living after our time spent in New York, but Boston proved to be nothing like New York City. While New York has its skyscrapers, Boston has its perfectly preserved historical landmarks and buildings. Boston is a small city that you can walk in just a couple hours. And while neighborhoods in Manhattan tend to bleed into each other, each Boston neighborhood is very distinct and separate. And although Boston doesn’t have the endless excitement of NYC, it is overflowing with charm. These two cities are so different that you can’t really even compare them. And if you asked me which I liked better, I’d say just that. So how did our expenses change from New York City to Boston? Well, we were still paying off our debt, so our budget had to stay the same, but we did arrange some expenses in Boston a tad differently. Rent is Boston proper is almost on par with New York City in price, although we paid a couple hundred dollars less than NYC. $1500 got us a 450-square-foot apartment in a safe neighborhood. The apartment was super old and had no modern amenities such as a dishwasher or laundry, but it was charming. We lived in the North End, which is Boston’s Italian district. It had amazing Italian food and legit mafia dudes. Unlike NYC, most of the apartment buildings were family-owned, and ours was no exception. When we were signing our lease, which had a “no pets” clause, our landlord asked me if we had a “caaa.” I thought he had somehow sensed that we were going to bring a cat into his building but realized at the last minute that he was asking if we had a car. The North End has a very small-town, local feel, and we very quickly got used to hearing thick Boston accents. We spent about $50 more on groceries in Boston than in NYC because grocery shopping was very expensive and very inconvenient. Our neighborhood had local grocers and butchers that were charming but outrageously expensive. For instance, our yearly Valentine roast cost me $30 last year (and was only $11 this year). My only non-local grocer was Whole Foods, which was a mile away. A delivery service was the cheapest option like it was in NYC, so we ended up getting most of our groceries that way. Like our time in NYC, we rarely ate out in Boston. We did takeout once a week, and every other month or so we tried out the local Italian restaurants in our neighborhood (one word: Mmmmmm). We also regularly ate lunch at the greasiest, dirtiest hole-in-the-wall burger place in our neighborhood. It had super delicious, cheap burgers and fries. We were almost certain the guys who ran it were tied to the mafia and that their cash-only sandwich shop was likely just a shell for money laundering. That suspicion was pretty much confirmed when the highest ranking mob boss on the East Coast was arrested just two doors down from their little restaurant. Because of how much smaller Boston is than NYC, you neither need a car nor public transportation. We walked EVERYWHERE. The only times we used the subway were when we wanted to go to Harvard and pretend to be uber-smart college students. Just kidding. We never did this. Okay, I did this once with my little sister. But really, we used the subway once a week tops. We saved big time on transportation while living in Bahston. We didn’t have our own washer and dryer, but we did have paid laundry in our building’s basement. The prices were about half of the price of NYC laundry, so we were able to save $15-$20/month on laundry. Every little bit makes a difference, amiright? We barely spent any money on entertainment simply because we were paying off our school loans so aggressively. Instead we took night walks along the harbor and attended concerts every couple months. Nothing like going to a concert at a venue located in between MIT and Harvard and hearing two guys behind you discussing algorithms the whole time. True story. On the rare occasion (only one occasion) that we saw a movie in theaters, it cost $11.50 per ticket. After living in Boston for just a couple months, we finished paying off our school loans and became debt free. While it lacked the in-your-face excitement of New York City, Boston was beautiful, and we loved our time there. Like any city, it was very expensive, but our Boston living reaffirmed that city life is possible and enjoyable on a budget! And although our budget kept us from becoming well-versed in all of Boston’s restaurants, we still got to know the city in other ways. Our best memories were based on our time spent together, not our money spent together. Have you been to Boston or ever lived there? Do you have a particular city you hope to live in someday? Do you think city expenses are worth the excitement of city life? I have been to Boston several times, but not in the last 5 years or so. I had a friend who was smart enough to get into Harvard so I would visit him a couple times a year. The city is pretty cool, but man oh man that accent can really be like nails on a chalkboard sometimes. As far as cities we want to live in, we are looking at Innsbruck, Austria at some point and moving back to my childhood town of Kinsale, Ireland. Both are longer term goals, with Innsbruck being in the 3-7 year range and Kinsale being the 15-20 year range. Most of the folks in the North End neighborhood we lived in had been there a couple generations. So you can imagine some of the accents we were exposed to. That’s awesome that you’re looking outside the states. I wish we were brave enough to consider it, but that hurdle is likely easier since you grew up there. We might have to have you do a guest post on living costs in Kinsale and broaden the horizons of some of us close-minded Americans. Boston would have been such an awesome place to experience college years. From what we could tell, it was basically one giant college town. We always loved going to Boston Common on the weekend and seeing what weird activities the Harvard/MIT kids were up to — like quidditch tournaments. And do whatever you have to to see a game at Fenway. No better park and atmosphere in all of baseball. I’ve only been to Boston once and it was only for a few days. I am a history buff and would love to go back again to see more of the sites. I lived in Chicago for five years while growing up and it was pretty on par in terms of expensiveness. I also lived in San Diego for about two years when we were first married as that is where my wife is from. It’s crazy expensive there plus the pay is not very good either…they call it the sun tax. I love the big cities, but I’ll take our “average” expenses in Omaha. California’s sun tax… I know all too well about that one. It’s actually what’s keeping us from moving back there for the time being. So like you, we’re good with normal expenses for a slightly more humdrum life. I spent a few days in Boston years ago, 1999 I think, and loved it. Myself and the friend I was travelling with booked onto one of those hop-on/hop-off trolley rides and started with a really, really funny driver/guide. And kept on ending up on the same bus every time we got back on. I think we ate lunch at Quincy Market every day we were there. I loved the whole idea of it (it was a completely new concept to me – that kind of food court didn’t really exist in Ireland at the time). I remember one memorable slice of pepperoni pizza so spicy that the one bite I managed left me gasping and red-faced. Ohh, and I remember cookies bought from a stall run by a couple of brothers (at least the company was run by them) – I would seriously have bought another suitcase just to fill up with those cookies if I had been able to afford it. I have some great photos from there as well, me sitting in the lap of a Warner Bros. cartoon figure statue (Daffy Duck maybe?) and, you know, important cultural stuff like that. We also took a side-trip to Salem one of the days we were there and I had a hoot buying things with slogans like “In Goddess we trust” – had never heard of Wicca before that either and the whole over-the-top touristy representation of witches in the town (witches on broomsticks painted on the road, etc.) was kind of amusing. We did the tour of the Hawthorne house and I dutifully bought a copy of The Scarlet Letter. Funnily enough, I only managed to actually read it last year – not the easiest book to get into really. I’m not likely to ever travel to the US again but I were to do so, Boston would definitely be on the list of places to go. Sounds like you made the most of your time during your visit. Those hop-on, hop-off sightseeing bus tours are actually a great way to see a lay of the land and stop at the sights you’re actually interested in. And that’s great you went to Salem! We really wanted to go up there, but without a car, we didn’t have an idea of how walkable the city would be. That’ll be at the top of our list for a future visit. I love the article. I feel like it does a good job explaining how ‘high cost’ cities can still be enjoyed at a relatively reasonable rate. I need to do a similar cost writeup of where we live in Athens, GA. I think it would shock most people from other parts of the U.S. because of how inexpensive it is. I forget sometimes at truly how good we have it here. We really enjoyed Boston when we visited. I’d love to read a cost breakdown of Athens. I’ve had some coworkers rave about the area. What’s nice about cost breakdowns is it offers a firsthand account of how cost of living numbers actually translate to specific categories, as opposed to looking at a lump sum percentage that a lot of city data websites offer. Because while the entertainment costs may be astronomically higher in Boston and NYC, we chose to find free/cheap entertainment. So that didn’t factor into OUR cost of living. I’ve been to Boston once. It was nice, but I was only 15 and didn’t really want to be there. I despise big cities…but this article makes me want to go back. I don’t know how I’d fare in a big city. Eastern New Mexico’s cost of living is so low that my 800 square foot apartment cost $375 a month, and I had a roommate. So when I see $1500/month it scares the crap out of me. It’s worth a return trip. It’s also worth us moving to Eastern New Mexico if we can snag an 800-sq. ft. apartment for $375/month!! That’s insane. Big cities aren’t for everyone. And I think that phase of our lives is probably done. Because of my work, we’ll always be near big cities, but I think we’ll always live in suburbs outside of all the action. I currently live in Boston, though not downtown, so my rent is less than what yours was. 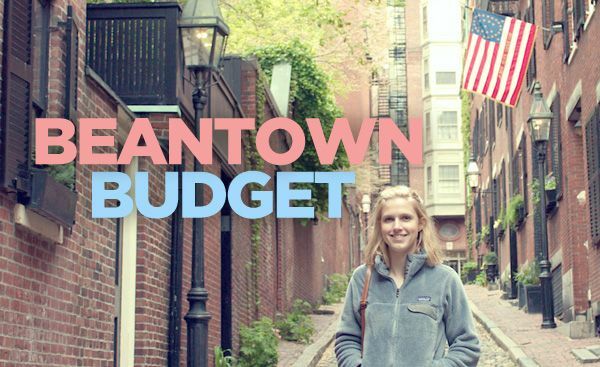 You can definitely find less expensive places in “Boston,” especially in the neighborhood-y areas of Brighton, Medford, and Somerville, which are all public transit-accessible to downtown. Did you guys ever shop at Haymarket? I go there almost every weekend, and it really helps me keep my grocery budget low, since the prices on produce are so low (strawberries for $1!) Understandably, it’s not a place for everyone, since it’s outside, crowded, and “dirty”- but it’s an open-air market, what do you expect? Another thing about Boston, it’s a very “active” city, in the sense that many people are runners or into some sort of fitness. Gym memberships can be expensive, but there are a ton of free run clubs/groups people can join, many of which host raffles for free gear and/or host food events at local bars, so those are a great way to get some inexpensive entertainment in. There are also a ton of free entertainment things to do in the summer especially- concerts at the Hatch Shell, free fitness & yoga classes on the Esplanade or the Greenway, the SOWA market, deal nights at bars & restaurants, etc. You’re right, rent is definitely cheaper outside of downtown. And the Metro makes it super easy to commute from the outer neighborhoods/cities. Joanna forgot to include it, but we bought our produce from the Haymarket almost every single week! We LOVED that place! On a rainy day, all the vendors were grumpy and wanting to leave, so we snagged an entire palette (8-10 boxes) of strawberries for $1. We ate strawberries every meal the next week or so. Boston was awesome. We miss its charm. We’re planning on doing some travel for cheap posts, so when we get to Boston, we’ll probably shoot you an email to get some extra ideas from you. Never been to Boston. Closest I’ve been is DC. I currently live in Houston, TX. This city is at the other end of the spectrum as far as cost of living. The biggest price difference is in rent. A 450 sq ft apartment near all the action will probably fetch about $600-750/month here. We currently pay 750/month for our housing cost and the living space is north of 2,000 sq ft. The biggest drawback is how car-centric and how pedestrian and bike unfriendly this city is. Love me some Texas for the exact reason you outlined — cost. We were close to pulling the trigger on Dallas or Austin a year or so ago, but we ended up elsewhere. But I’m sure it’ll be on our radar again when it comes time to look again. The thing we miss most about Boston is not being able to go on walks through the city. I almost moved to Boston for a post-doc. But given how ridiculously expensive it is, I’m glad that I didn’t. I don’t think I would have been able to save any money. If I could afford it, I would love to live in downtown Manhattan. There’s just so much to do there. And so much culture, art, and food that I’m not sure I could ever get to it all. The inability to save a whole lot of money factored heavily into our decision to leave. Between the Boston and NYC, we felt Boston would make for a more manageable, sustainable city life. But NYC took the cake on excitement and things to do. $1500 for a 450 s.f. apartment sounds insane! Yikes! I’m sure it was amazing to live there, though. Definitely amazing. But it made us sick to our stomach to pay that kind of rent payment when we knew our siblings out west were paying a lot less than that on their mortgages for homes with 5x the square footage. We lived in Boston for a number of years up until a few years back. For us, it definitely made sense to live on the outskirts of the city. $900 for rent for the top two floors of a house/apartment in Medford/Sommerville with fantastic landlords and walking distance from the T. Charlie card got us anywhere we needed to go, we had free parking for cars if they were needed. Gym was covered by all the local trails and our college gym membership. Groceries were outrageously expensive until we discovered Market Basket. Talk about cheap groceries! We loved that store. Took us 3 years to figure out its appeal (it tended to be rather crowded when we first went so we didn’t stay long enough to notice the cheapness) but once we did, $100 bought us a months worth of groceries and we lived like kings. Fresh fish, produce, bread hot from the oven…we were spoiled there after paying the Shaws & local prices. Entertainment was great, we were able to get basement level prices to all sorts of shows. We were broke college/grad students/associates but still had the opportunity to see Wicked, Lord of the Dance, Stomp, Floorplay The Rockettes, Nutcracker and many others. Tickets were pretty cheap to celtics/bruins games and we scored face value tickets to the Red Sox every year (we figured out a way around their lottery system) and sold extras we didn’t use. We also felt like restaurant food was pretty cheap, it didn’t cost too much to go out to local places in Davis Square. North End was one of our splurges every once in a while (we worked right next door across from TD Bank Northgarden), I’m curious if our time in the city probably overlapped when you guys were there? We moved out in 2008. We didn’t have a whole lot of time to find a place to live, and since my work was in the North End, we started our search there. But we would have loved to have looked at a place like Medford and snag a deal like you found! We weren’t anywhere near a Market Basket, unfortunately. But we did have the Haymarket, so that helped us save a ton on produce. That’s awesome on the entertainment front! It sounds like you lived the life, though I’m still not sure how all that awesomeness didn’t break the bank. The only reason we were able to snag cheap BoSox tickets last season was because of how terrible they were playing. We were there a pretty brief stint (2011–late 2012), so we didn’t overlap. But I was also working right next to the Garden. Small world. One other thing, tell me you guys at least got to experience Blueman Group while you were there!!?! We didn’t! BUT it’s definitely on our list of things to do when we head back up to visit. I am in NYC now, and I definitely have a love/hate relationship with it. Yes there are amazing things to do here, but it really is amazingly expensive. It makes it really hard at times to take advantage of what the city has to offer when you are trying to be budget conscious as well. Question though, where on earth did you find an apartment in NYC for $1,500 a month?!?! I have a similar deal in the city now (woohoo student housing), but most people I know are paying at least $2500+. Budget conscious and big cities are tough to get to play nice. As I’m sure you know, you just can’t let your guard down. One night out on the town can set your budget back weeks/months. So in NYC, we paid $1650/month for a 1-bedroom place on the Upper East Side. I think we benefitted by the recession still looming over the apartment market in the city. But the UES is surprisingly inexpensive. And the green line was perfect for me and my work on Madison Ave. We have some friends that live in Harlem and Inwood and have found similar $1500/range deals. Location, location, location. I’ve never been there but I have a friend who moved to Mass this year and when I go visit her we are going into Boston, so I’m really looking forward to it! Awesome! I’m sure you’ll have a great time. There’s obviously a lot to recommend, but I’ll keep my list short of must do’s: Fenway Park, Freedom Trail, Mike’s Pastry cannoli. And there you have it. Boston is one of my all-time favorite cities (only behind NYC in the states). Reminds me of home (Halifax), We’re returning this summer and sooo excited! 1500 for an apt is just insane to me. 1500 here would get you a house bigger than mine, property tax included. or a very high-end luxury apartment or historic home flat. The pic of Boston made me smile. The North End is awesome. My grandmother lived on Hanover Street across the street from the Paul Revere statute. My mother grew up in the North End and was married right next to the old North Church. I LOVE this area, as I spent most of my summers there. The FEASTS were fabulous. I’m glad there are still long timers still there, as I don’t have any family left who lives in the North End. I love that they made a path to Fanuel Hall to the North End too. Thanks for the post. It brought back wonderful memories! Just reading you reminisce about the North End made us super homesick, although it was only our “home” for a year. We lived right off Salem St. and we’d walk the harbor and up Hanover to get back home most nights in the summer. It was a magical time. A friend and I are thinking of moving to Boston, so this was very helpful! Thanks for this! A quick question, if you don’t mind… are those numbers what you paid monthly? Yes, those are monthly totals. Some of them are a little steep, but others are about on par with what you’d expect to pay elsewhere in the country. Best of luck and hope it works out! Boston is a great place to call home. I just stumbled across your website and, boy, am I glad that I did. I am not the only budget-crazed individual around! Haha, all I can say is that I was raised with that mentality and I appreciate it so much. In addition, the two of you seem like a lovely, fun-loving pair. Anyway, I am graduating from college this May and will be relocating to Boston for a job. While I do not have a specific address for my employment, I am assuming it is in the actual city limits and not the suburbs. Long story short, I was born and raised in Massachusetts and moved to Ohio when I was a senior in high school. Ironically, I am returning to the North East. I really have no idea what life in Boston is like, as I lived in a different area. Would either of you be able to offer any suggestions regarding choosing housing when you’re not in the area? I am not sure how you two have done this in the past. Also…according to your post, it seems as though a car is not necessary. Would you recommend not having a car at all and living closer to the heart of Boston or commuting and struggling to find a parking spot? Haha, decisions! My student loans are not that atrocious, but they still exist. I decided to transfer to a regional campus of Kent State during my sophomore year so I could pay for tuition as I went. That worked out until my last (upcoming) semester. I will have those to pay off in 2014 and will be working with a tight budget…I am down for multiple roommates, but am willing to explore other options. I would appreciate any additional advice you may have to offer! How fun that you’re moving to Boston. We really loved our time there! For both NYC and Boston, we checked out the apartments in person. The pictures are usually kind of misleading, so it was worth it to us to fly Johnny out to check out apartments beforehand for a couple days, and we were able to ensure we got the best place for our limited budget. And if you’re thinking about roommates, you might want to meet them in person beforehand as well. We didn’t have a car in Boston, and it’s certainly not necessary if you live in Boston proper. That’s the only experience we know, but commuting with a car could work, too. Depending on where you work, you may have to pay to park your car at a parking garage each day, which can get kind of pricey. Personally, we really liked really being a part of the city while we lived there, which is why we chose to live in the heart of it. That said, living further way could mean cheaper rent and more space, so you’ve just got to figure out what you’d prefer. Also, congrats on having your loans paid off next year! There’s plenty to enjoy in Boston without spending a lot of money. It’s a beautiful place, and I’m sure you’ll love it! This article was linked in Ask Metafilter regarding living in Boston on the cheap. Hey L, thanks for dropping by. I guess I’m a little puzzled at what is so difficult to fathom… have you ever lived in Boston proper? Having spent 10 years in Eastern MA, I’d imagine you’d have some knowledge of what it costs to live in a single bedroom apartment in the city (which given my profession at the time was a necessity). As far as our other expenses, I don’t think any of those costs are particularly unreasonable. I guess that’s the beauty of personal finance. For you, we were living a life of extravagance. For us, this was living cheap. So you’re pissed about Boston because you couldn’t afford to live the lifestyle you wanted because you chose to live in one of the most expensive parts of Boston not anywhere near a grocery store or other basic amenities? Did you even do any research on neighborhoods before moving? I mean, you set yourself up for those problems. It’s no wonder you were miserable, but what you’re citing is hardly the real costs of living in Boston — it’s the real cost of a particular lifestyle you chose that was, frankly, out of your means if you found that problematic. It’s fine if you didn’t like Boston — I despise New York, for example. You couldn’t pay me six figures to live there. But don’t blame the misery you experienced on the money when you had enough to live on and made poor decisions about how to live with that money. And, yes, I lived in Boston proper for years, with a child in daycare no less! I still work in downtown Boston. If you were paying $1500 month/rent, you didn’t look hard enough for a place. We loved Boston! Never once, on this blog or otherwise, did we claim to be miserable. In fact, quite the contrary. We were not “victims”, and as we stated, we were focused on paying down our debt, which is why we self-imposed stricter budgets on other categories. This is a personal finance blog where we share our own personal experiences. We don’t claim that these costs reflect what all Bostonians will incur. Clearly you want to make this confrontational, and that’s not the purpose of this blog. If you disagree with us, that’s fine — that happens all the time here and we love to hear opposing viewpoints. But there’s likely a better way to get your point across than being combative. If you’d like to leave a link to your own blog post where you outline the true costs of Boston living per your own experiences, we’d be happy to point our readers there for another perspective. I loved this article so much. I’m currently living outside the U.S. but this year I plan to do my second degree in NYC. Since I’m gonna be on a student loan, my expenses are gonna be madly reduced. Plus I’ll probably be paying tons of cash for a room in Upper West which will leave me with a gigantic student debt after I graduate. Thank God it’s only a one year associate. On the other hand, my plan after that is moving to Boston. I know NYC is a big place and (I know) I’m doing a Fashion-related major and I could have so many opportunities in the big apple, but after being in Boston a couple of times I absolutely fell in love with the city. I cannot imagine anywhere I would want to live after I graduate. NYC is awesome and it’s such a great place when you’re young and you don’t really care how tiny is your bedroom/apartment. But when you want to move on and get the real deal, a nice job, a house, a car, etc, I’m thinking Boston would suit me better. Correct me if I’m wrong. North End sounds amazing, but, would you recommend to live probably in the suburban areas like Cambridge or Somerville? Or there are any other nice neighborhood that you don’t really need a car and are quite affordable for a young woman? I’m reading all of your entries! haha Wish I could know a bit more about your life in Mass. We loved Boston. I totally get why you’d want to settle there after you’re done with school! I think the suburban areas would be better long term. The North End was beautiful, but it was definitely expensive for even our tiny apartment, and aspects of it were a bit inconvenient. I think most of Boston proper would be the same. Good luck with your degree! Found this on pinterest! Love it! I’m going to be a sophomore in college and I’m planning on relocating from Cleveland, Ohio to Boston this August. I’ll most likely end up sharing an apartment/house with some roommates jn Malden, Quincy, or Fenway. I’m so nervous for the big move (because of expenses) but I’m hoping reading things like this will help me along, Any good tips for college students you guys have come across? Congrats! Sounds like you’ve got a exciting few months ahead of you. And we’re sure you’ll love everything Boston has to offer. 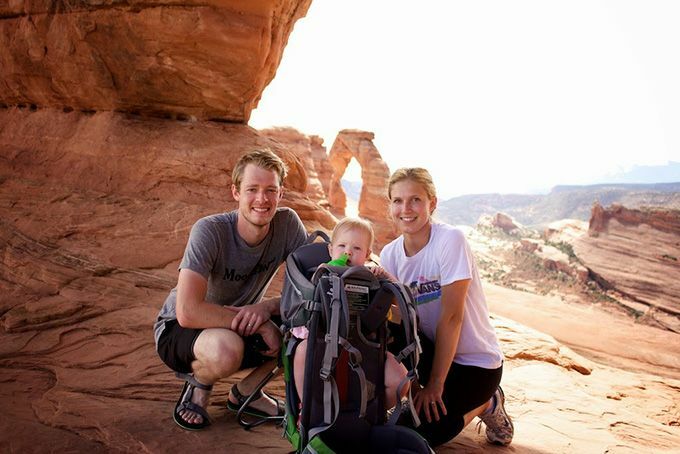 This post offers up a few of our college-related tips: http://www.ourfreakingbudget.com/how-we-lived-in-college. Looking at them now, they’re all mostly common sense, but the best thing you can do is establish a budget now before you move to Boston and do everything you can to keep those costs in check after you move. You’ll likely need to adjust a few numbers, but set goals and track where every dollar is going. Boston is MUCH cheaper than NYC. You’d have to compare North End prices to what you get in Chelsea or SoHo comparatively…Boston should be compared to Manhattan prices only, not NYC as a whole. Remember, Manhattan has over double Boston’s entire population and listings. Boston’s equivalent “outer boroughs, i.e. the surrounding suburban downtowns with train access are still MUCH cheaper than NYC outer boroughs, you get more space too…look at price per square foot. This compounds itself even more if you are looking for an area with decent schools or get an actual house. While Boston is still super pricey, it doesn’t even begin to be on NYC level. Basically what I’m saying, you can live a much higher “quality of life” if you are an average income around Boston. Prices in Queens for a 1br dump are now more than you paid in North End. Forget Manhattan and Brooklyn. I saw the NYC article also… your NY apartment sounded kind of like a dump, which, most in NYC are, esp in comparison to what you get in other cities. You won’t find even that for under 2000 in UES. It’s even worse to buy. Brooklyn is even a stretch. from 2010 to now prices have gone through the roof! Hi! When my wife and I were moving to Boston we read this post and appreciated what to expect before moving. Anyways, now that we are here we are always curious about what the hole-in-the-wall burger joint is that you refer to in the North End? Hey Adam! The place is called Mangia Mangia on Endicott Street. Enjoy Boston for us! This is a great thread…very informative! I’m currently doing research on moving about an hour north of Boston for a job but am thinking of living half way in between. Somewhere near public transit lines to get into the city would be ideal as well. Any recommendations for how you found your apartment?!? The Real Estate websites have insanely high priced properties but there must be options 30 min north of Boston at a decent price in a safe area, right? Any advice is greatly appreciated! Thanks in advance! What is the rent if a student wants to share a room with someone? Can a room be found with $200 per month?